The coolness of dinosaurs will never become extinct, no matter how old you are. 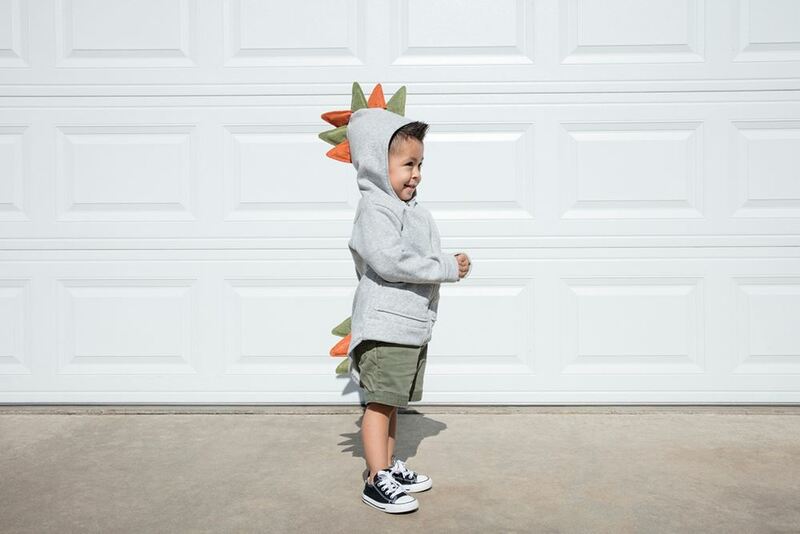 We know we made this no-sew dinosaur costume for babies/kids, but we're honestly a little tempted to make one for grownups too because we think it's just that awesome. 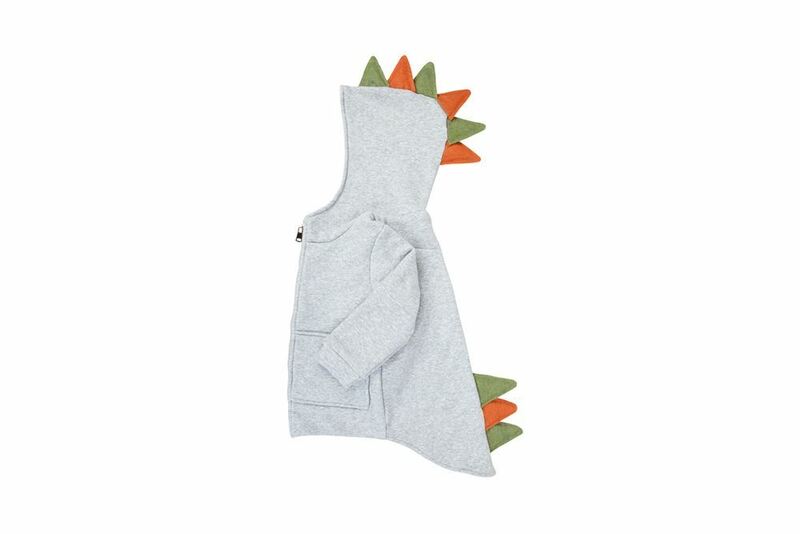 Why not take it a step further and make matching parent/child dino hoodies to wear for the big Halloween bash or while out trick or treating? Or how about a whole family of dinosaurs?! You get the point. 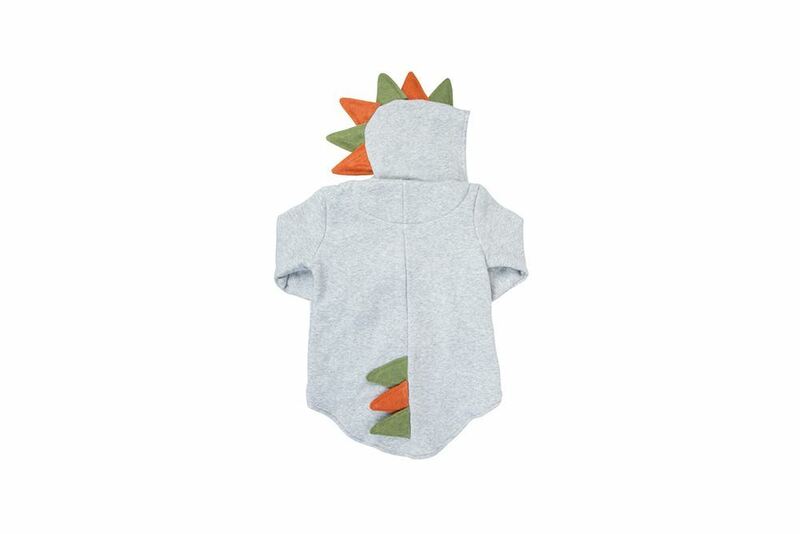 It's easy enough with felt squares, a comfy hoodie and Aleene's® Super Fabric Adhesive™. Cut felt squares into small triangles (two triangles form one dinosaur spike). Add glue to the bottom of the felt triangle and place it on the hoodie, along the top edge of hood and down the back side. Hold in place with straight pins until dry. Seriously, how cute is this?! And so easy to make!